Some of these are new and some have been done before; however, it's been a while for the repeats. For those unfamiliar with the Featured Artist concept, it's pretty simple: 7 different tunes every day between 8 AM and 8 PM, and there are no boundaries(top 40, minor charters, non-charters, and even some album tracks)! Do you have any Xmas-related oldies requests? Send them along through the chat features at http://retroatticrareoldiesradio.com! WHAT HAVE WE ADDED LATELY? HOW ABOUT THESE! Tune into the station at http://retroatticrareoldiesradio.com("Listen Live" or "Live Streaming" buttons) or search for us on Tunein.com, Nobex Radio, Radio Tuna, Reciva Radio, etc. 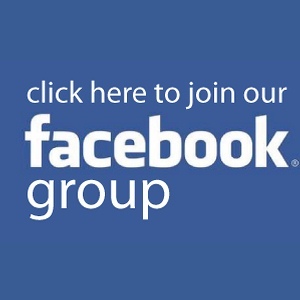 Join our Facebook group and participate in daily request themes! Also enjoy the music of The Monkees(group and solo) all month long! I have set up a pledge page for The Retro Attic and Awfully Awesome 80's at http://patreon.com/gilmatthews. Feel free to give it a look and if you believe in my vision of deep, unique playlists and programming, then please help keep us afloat. This weekend on Awfully Awesome 80's, DJ Gilbert Matthews' lost and classic top 40 hits showcase will include a seldom-heard gem that was his choice for his first dance at his wedding, a nod to "The Day The Music Died(well, sort of - the guy did portray Buddy Holly)," an early 80's one hit wonder who was once married to a very famous songwriter, a comeback hit for a 70's band who returned to their classic rock style, a top 15 hit with plenty of sax appeal, and many others. The 2 bottom 45's will be from 1983 and 1985 and come from a well-respected British progressive rock group and a hard rock group who had 2 members that will be in the Rock And Roll Hall Of Fame in April. The show will air on this Saturday night the 6th from 8 to 10 PM eastern at http://retroatticrareoldiesradio.com. If you like the show and want to see it expand to a 24/7 format with even deeper content, then please contact me through the webpage and I will tell you how it could happen! See you then! If you dig this show, then feel free afterwards to put in a request to join our Facebook group at http://facebook.com/groups/theamericanbottom45. SPINOFF STATIONS FOR THE RETRO ATTIC ARE POSSIBLE, BUT I NEED YOUR HELP! Thank you to all of my listeners who are keeping The Retro Attic afloat in 2016! I look forward to bringing you more of the best and eclectic oldies from the 60's and 70's and fulfilling all of your requests; judging by your requests, I would say that a lot of top 40 hits from these 2 decades are being severely neglected these days. AWFULLY AWESOME 80'S: Nothing but 80's music, 24 hours a day, 7 days a week. Each hour would feature top 40 hits with 1 "bottom 45(minor charter, non-charter, or overseas charter)" included for that "wow factor," even though some people would tell you that some of the top 40 I pick would also fit the bill! I would save the weekends for some special features, such as headbanging classics, 2 hours of new wave, 2 hours of 80's soundtrack tunes, a westcoast showcase, etc. RETRO AOR(THE RETRO ATTIC OF ROCK): All rock, all the time! Classic rock from the 60's, 70's and 80's...all of those indie and major label hair bands from the 80's and 90's...psychedelia...space rock...stoner metal...90's grunge/alternarock...modern day bands that are keeping the spirit of the old days alive. MALTED MEMORIES: A continuous 50's sock hop with some occasional forays to the end of '63. Crooners, doo wop, rockabilly, lounge jazz, classic hits, records on small labels that came and went. I understand that this genre is barely being represented now, and I would love to help out! Mini versions of Awfully Awesome 80's and Malted Memories will be airing on The Retro Attic every weekend starting on the weekend of February 5th and will continue regardless of whether anyone pitches in to help make the above stations a reality. 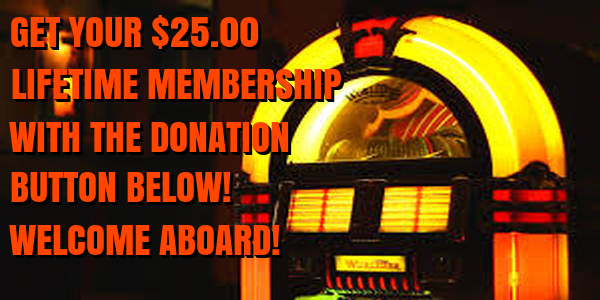 If you would like to help out, then please visit The Retro Attic's webpage at http://retroatticrareoldiesradio.com and look for our Paypal logo. Paypal gives you the opportunity to sign up for a monthly subscription, or you can make a one-time donation. I will be available through the webpage's live chat feature if you need a further explanation on why it's so tough to start up new stations these days! The Retro Attic's Featured Artist Of The Month for February will be Tommy James And The Shondells. Once an hour, every hour, we will showcase one of their/his hits, misses or album tracks from the early 60's through the early 80's! If you were a fan of their feel-good pop, bubblegum or quasi-psychedelia, then you will be in "Hog Heaven(pun intended)!" As always, I'm taking your requests! As Ed, Steve, Atticus, Dana, Gary, Sam, etc. will attest, I'm pretty sure that my fulfillment batting average is 1.000 so far! 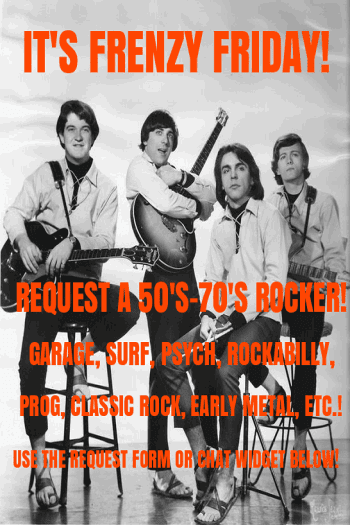 So whether you have a 60's/70's fave that hit #3, #93 or one that never made it past the Carolina beach market, then feel free to give us a try by filling out our webpage's song request form or contacting me, DJ Gilbert Matthews, through the webpage's live chat feature. 50's AND 80's MATERIAL RETURNING TO THE RETRO ATTIC IN FEBRUARY! 50's and 80's material will be returning to The Retro Attic during the first week of February! The reason is simple: ASCAP is requiring the company that I license my stream with to collect fees on each unique station that is in their directory, so there is no way that I can afford to launch a separate 50's station and a separate 80's station. I'm looking at doing an hour of 50's "Malted Memories" on Friday nights beginning on 2/5 and two hours of "Awfully Awesome 80's" on Saturday nights beginning on 2/6. Each show will feature lost and classic top 40 hits with at least 1 "bottom 45" included. So everything will be "under one roof," but the Retro Attic's main emphasis will continue to be 60's and 70's. I apologize for these sudden changes in format, but the mess with the recent royalty rate changes has caused many of us small-time broadcasters to rethink our strategies...and in a lot of cases, just hang up the headphones and call it a day. I refuse to give up, and I greatly appreciate those of you who are helping to keep me on the air! 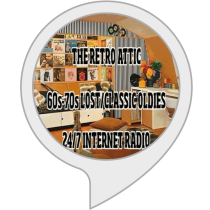 Join The Retro Attic's Facebook group at http://facebook.com/groups/retroatticrareoldiesradio and make your requests for the upcoming 50's and 80's shows(and to be notified of the start times!). And keep those 60's and 70's request coming in! Where else can you hear "Convoy" and the theme to "The Rat Race" sandwiched in between a Doors and a Beatles classic?